Dr. Christina Cole - I have nothing but gratitude and respect for how much she has improved Watson's life. I first met Dr. Cole, owner of Advanced Animal Chiropractic, while she was off duty buying dog food. I recognized her from the couple of videos I had seen online so I bombarded her in the middle of the store with a thousand questions (and pictures). She was immediately interested in Watson's case and set-up an evaluation for the next week. Dr. Cole's first observation was small, but frequent muscle spasms on Watson's back when touched. I had noticed this flinching for awhile, but no one was able to give me a solid answer as to why it was happening. She explained that is was a pain response from hypersensitivity due to his atypical growth and his many crash landings in his kitten adventures. Dr. Cole was confident that after a few treatments we would see a big improvement. I underestimated what she meant by a big improvement. After one visit, Watson was a different cat. He came home, stretched out, and relaxed in a way I had never seen before. I could pick him up and carry him without any crying; this was a big deal as I am constantly picking him up to carry him down stairs he has gone up or to take him off of counters he has jumped on. Watson was treated bimonthly to start, but we have now moved to once a month. Not only has this relieved pain Watson was experiencing, but it also allows me to notice when Watson is in discomfort. If he has taken a few hard landings, and his back starts twitching, it is a key sign that we are due for a visit with Dr. Cole. 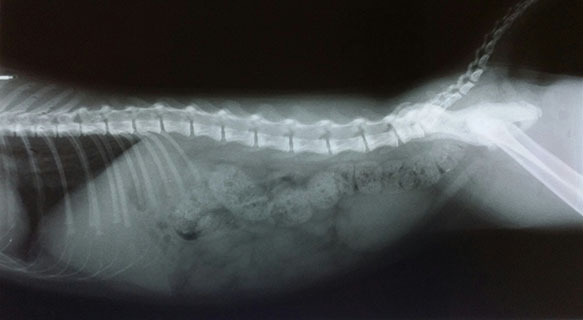 Watson's adjustments are actually similar to human adjustments due to the curvature development in his spine as a result of walking primarily on his hind legs. Normally, an animal's spine is relatively straight. In an x-ray taken earlier this year, you can see the curve developing. Aside from feline clients, Dr. Cole also sees horses, dogs, and even bunnies. I recently had the opportunity to shadow her for a day while she made a couple house calls for some dogs in need of adjustments before heading out to the stable to adjust some larger clients. I have watched her adjust Watson many times, along with our adult cat Peach and our dog Circuit, however, adjusting an animal weighing at least tens times what the doctor weighs looks a bit different. It's easier to imagine when accurately understood. Instead of treating an animal that weighs over a thousand pounds, Dr. Cole is treating individual units in the horse that give him or her motion, each of which weigh 30-40 pounds. A chiropractor focuses on joints that are not functioning in their normal range of motion. One of the first steps in adjusting these joints is bringing actual steps, which in this case, are styrofoam blocks or hay bales with a vinyl cover. Dr. Cole always has two on hand so she can reach the top of even the tallest of the troop. There are no other tools necessary, making chiropractic one of the least invasive forms of treatments, and in Watson's case, one of the most effective. The horses were all very calm during the adjustments. Typically, a handler will stand at the front of the horse to keep him or her steady while Dr. Cole makes her adjustments, one of which actually involves pulling the horses tail (I wouldn't recommend trying this at home). I always joke about a cantankerous horse leaving Dr. Cole with a black eye, however, after seeing how much the horses enjoy her treatments, I don't think she will need to be worrying about that. I did learn one thing - give a horse a carrot, and you've made a friend for life. Keeping our furry friends comfortable is so important, and Dr. Cole definitely does the tricks necessary for that. 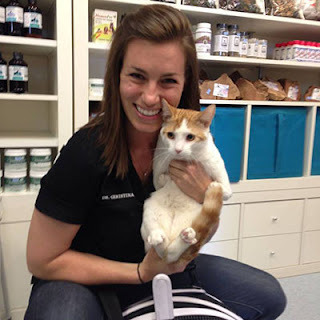 She learned her tricks at Life University College of Chiropractic and recently learned more after attending Options for Animals, a rigorous and challenging program dedicated to animal chiropractic and approved by the IVCA (The International Veterinary Chiropractic Association). It is important to note that any animal chiropractor you entrust your pet to should be either a Doctor of Chiropractic or a Doctor of Veterinary Medicine and should be certified by either the IVCA or AVCA (American Veterinary Chiropractic Association. One of the great perks of seeing Dr. Cole is that with most animals, treatments go from frequent to more sporadic, or as needed. Animals tend to keep their adjustments longer than humans because they typically practice better posture than us. This lends to a lesser number of appointments, making chiropractic an affordable, less invasive treatment for your pets, and you can live comfortably knowing your furry friend is also comfortable. 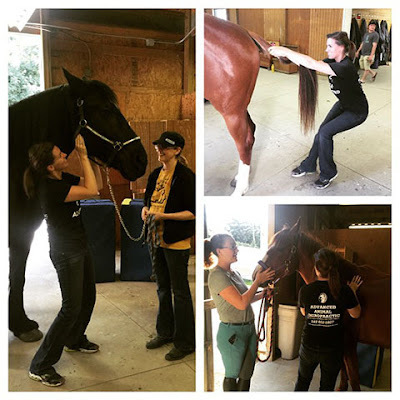 Dr. Cole practices throughout Michigan's Oakland County Area working hand in hand with various veterinarians, and she is the official chiropractor for the Detroit Mounted Police Force. She travels to quite a few different areas during the week to bring her practice to as many places as possible, while also offering house calls for those who cannot make it out to one of her locations. Check out her website for more info on where she practices. If you would like more information on how animal chiropractic can help your pet or are interested in getting your animal checked, don't hesitate to contact Dr. Cole via email AdvancedAnimalChiropractic@gmail.com or phone 248•602•0807. 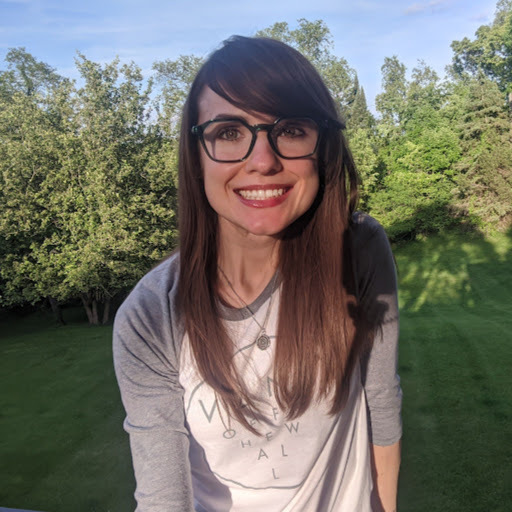 *Disclaimer - Dr. Christina Cole has had a passion for animals since an early age and had always dreamed of dedicating her life to their betterment. Dr. Christina is not a veterinarian, and she does not practice veterinary medicine. She acknowledges chiropractic as an adjunct to veterinary medicine, not a replacement. As such, she works by veterinary referral in accordance to Michigan Codes and Regulations.